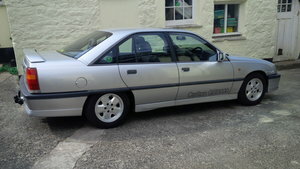 We are delighted to offer here, a Vauxhall Vectra GSi in fantastic order. As with 80’s and 90’s Performance Vauxhall’s, these represent great value for money in the current Modern Classic market with the potential to rise in value, whilst being enjoyed. 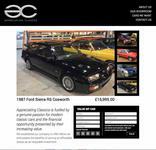 These cars have fast become very rare in this condition, so we would advise being quick with this one. 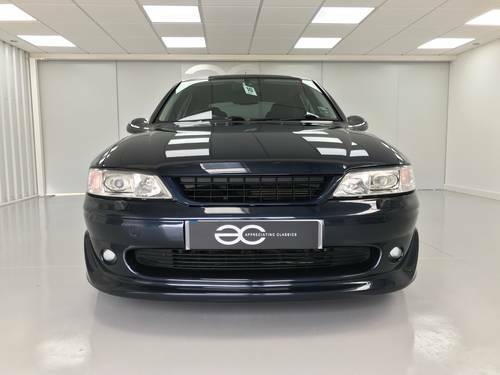 A comprehensive history compliments this example, warranting the very low mileage of just 36,609 miles. The car is booked in for a fresh service & MOT also. 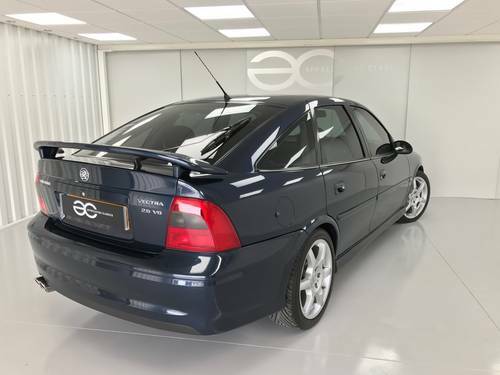 Finished in Nocturno Blue (34L), this Vectra GSi looks fantastic. With all original panels, and original paintwork this is a car which has not been abused, it is clear to see the car has led a cherished life.. This colour looks fantastic, sunlight really brings it to life. The GSi specific bodykit is still striking today, and really sets the car apart as it did when new. Bodywork wise the car is original, apart from a irmscher front grill having been fitted. All wheels are in superb condition and look to be in the original finish. All badges are present, which all present well, as do the lights, and the glass which has been tinted. A very well presented example, and certainly very rare in this order. 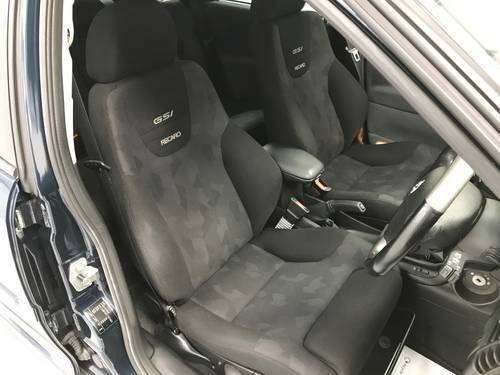 The interior of this Vectra GSi is in very very good condition, it still presents and even smells like new! 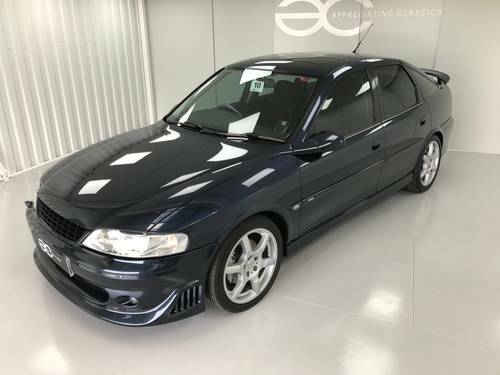 Still sporting the original stereo, and the fantastic original Recaro seats which were specific to the GSi with GSi emblem. As shown in the pictures, the surrounds are all in good condition, without any of the usual scratches/damage that often occurs on these. Vauxhall air fresheners are still in the ashtray (which itself is unused). The only changes in here, are the addition of blue lighting to the mileage counter and trip computer (which is fully working). 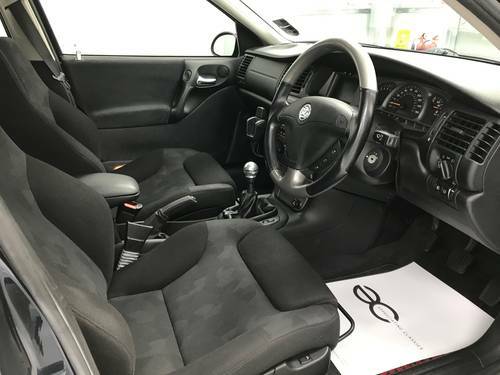 Original Vauxhall floor mats are still fitted, and again, in superb condition, as are the likes of the steering wheel, pedal rubbers, and general switch gear. With 192bhp on tap, and a fantastic soundtrack, the GSi was ‘dressed to impress’ when launched. Starting from cold, this example fires straight in to life, running very smoothly and very quietly with no smoking at all. Once warm and on the road, the car drives fantastic, with great performance even by today’s standards and a great noise to go with it! 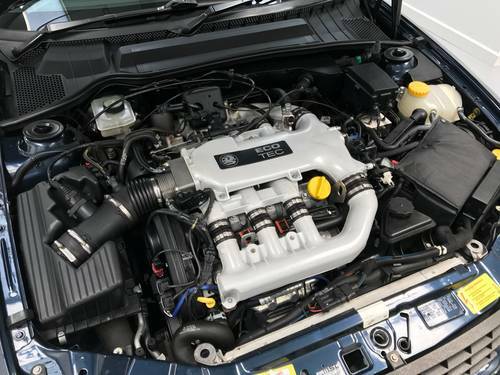 The engine bay itself presents very well, with no modifications, and running standard power. As stated, this car drives very well. Steering is nice and true, with even and effective braking. The gear change is exactly as you would expect from a low mileage example, being nice and crisp. Suspension is comfortable yet firm, giving good handling characteristics. The original wheels are still fitted, and are all in very good order. 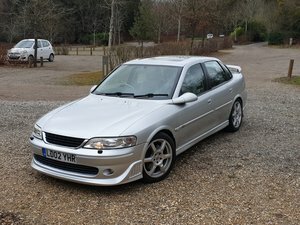 2001 Vauxhall Vectra SXI the only one for sale in the UK!!!!! 2001 B model. 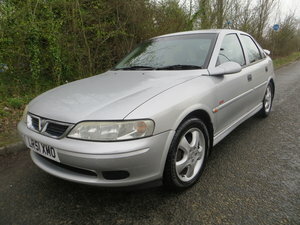 Low mileage for year 94560 miles. 2600cc V6 24 valve petrol engine. Manual 5-speed gearbox. Metallic green. Top of the range CDX spec. 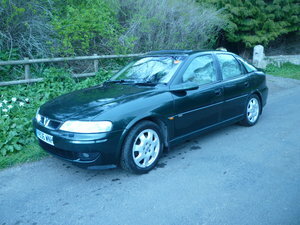 In very good original condition and ready to drive away. More photos and details on request.